All of our doulas meet with clients for an informational meeting before hiring. As trust and comfort are essential in the relationship with your doula, we encourage you to work with the doula that seems the best fit. Our doulas are divided into a tier structure based on their level of experience and professional development. All doulas tier two and above are certified. Please note that the tiers are ONLY reflective of birth doula experience/certification. Our post-partum services are neither tiered, nor vary in fee. Cathy discovered a passion for birth during the birth of her first child. 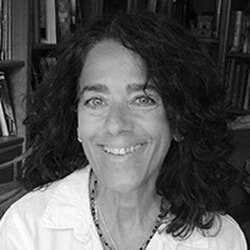 In the years since, Cathy has assisted hundreds of families as a birth doula, postpartum doula and childbirth educator. Cathy is a DONA Certified Birth Doula (since 2008) and finds great joy in supporting families to have safe, satisfying and healthy births. Cathy is also a DONA trained Postpartum Doula and a Lamaze Certified Childbirth Educator. 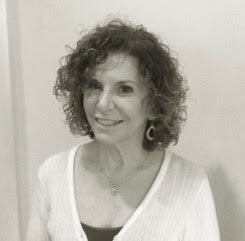 Cathy is employed by Pennsylvania Hospital and the Hospital of the University of Pennsylvania to teach Childbirth Preparation classes as well as Baby Care, Grandparenting, and Sibling classes. Cathy also qualified as a Hypno Doula, an Evidence Based Birth instructor, and a Birthing from Within mentor. Cathy has attended births at 14 hospitals, but the great majority of her births have been, and continue to be, at Pennsylvania Hospital and at HUP. Having supported over 130 births, Selma is committed to empowering individuals and couples to have a safe, calm, satisfying birth experience. She is a DONA certified birth doula, childbirth educator, (Lamaze certified), an Evidence Based Birth Instructor as well as a HYPNOBABIES doula. She has training in breastfeeding support, Spinning Babies, and Birthing From Within. In knowing that no two individuals are the same, choice and understanding of the birth process enhances the experience. Selma has supported births in all the area hospitals, birth centers as well as home births. She passionately believes that education, nurturance, compassion, respect for values, both social and cultural, and advocacy, elevate the experience of pregnancy, birth and parenting to where it should be; Your joyful unique journey. Jamie has been a birth and postpartum doula for over eight years. She is a Lamaze certified childbirth educator, registered art therapist and licensed professional counselor. Her core philosophy is to educate, empower and advocate for people to experience joy throughout all stages of life. Her clinical experience and childbirth coaching skills offer a holistic focus to support the mental, emotional, physical and spiritual well-being of families. She is active in the arts and social justice efforts that promote life’s value. Jamie is well-acquainted with the surrounding metropolitan hospitals and birth centers. She is knowledgeable in the use of essential oils for pregnancy, birth and infant care. Jamie is a team player and assists each family in facilitating a personalized and positive childbirthing and parenting experience. ​Seena’s passion for supporting, educating and empowering women, defines her life’s work. She knew at her first doula experience in 2013 that this powerful work was in her destiny and still sees every birth as uniquely miraculous. She certified with CAPPA International in 2014, is a certified yoga teacher since the late 1980s, licensed and practices Social Work counseling for decades, and has extensive mindfulness training. She continues her education and training with the Evidence Based Birth Academy, Spinning Babies, parenting positive psychology, breastfeeding, and movement for prenatal and postpartum health. Seena is grounded and optimistic, approaching every woman and couple with respect and a nurturing heart. She guides people to find their voice, trust and confidence. She attends all of the Philadelphia and suburban Philadelphia hospitals, and Bryn Mawr’s Birth Center. Her experiences include unmedicated/medicated births, C-sections, V-bacs, mothers with anxiety and in recovery, and home births. Her doula tools are practical, varied and evidence based. Her vision, to co-create an optimal experience that is safe, satisfying, healthy and whole. ​Dawn Star has had a deep fascination with birth, motherhood, and babies since early childhood. Her four children were born at home with midwives, and she has a profound trust that birth is usually a normal and healthy part of life. Dawn Star has worked as a professional doula and childbirth educator since 2007 and is a Birthing From Within® certified Doula and Childbirth Educator. She is also a professional religious educator within the Unitarian Universalist Association. Dawn Star brings the skills learned in all these parts of her life to your birth: diplomacy, supportive presence, and enthusiasm for diversity. She strives to help families prepare for and move through birth as a rite of passage. Also available: belly casting, mother blessings, and child-naming rituals. 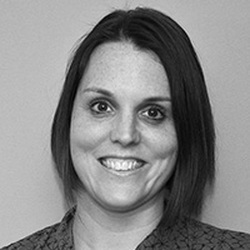 Kim Hewlett is a CAPPA-Certified Labor Doula born and raised in South Jersey. After 8 years of teaching high school, Kim realized that her passions lie less in the classroom, and more in the home - helping expectant parents achieve the most desirable outcome for their births, and assisting with the transition from pregnancy to the post-partum world. Kim is passionate about birthing, breast-feeding, baby-wearing, and being one's own best advocate. She believes that every woman deserves the birth experience she desires. Whether it is with comfort measures in labor, or handling the unexpectness of life with a newborn, Kim knows full well the joys and stresses that come with pregnancy, labor, birth and babyhood. In addition to her doula work, Kim has 3 children of her own - ages 10, 5, and 3. Kim is also a Certified Lactation Counselor, and familiar with hosting breastfeeding workshops, cloth diaper workshops, baby/kids goods exchanges, and expectant mother blessings. Kim is active in her community, and loves to read, practice yoga, and take road-trips with her family. Heather Renee started working as a birth doula in August of 2015 and is certified through BirthArts International. She has always known that her passion lies with being of service to families and continues to actively expand her education regarding birth, birth activism, and birth in under-served communities. Heather Renee feels her role, as a birth doula, is to provide a safe environment for people to give birth; to create a loving space for a birthing person’s voice in decision making; and to help birthing families feel supported throughout the duration of their pregnancy and birth. Aside from her work as a Birth Doula, Heather Renee also offers one-on-one Prenatal and Postpartum Yoga instruction, Postpartum Doula Services, Childbirth Education courses, Ayurvedic Abhyanga Massage and volunteering with the Philadelphia Alliance for Labor Support and in Addiction and Recovery Outreach. She firmly believes that all have the right to a dignified, safe birthing experience and feels it is the deepest honor to be of service to birthing families throughout such a precious and celebratory period in their lives. Dara was called to birth work after being blessed with her daughter in 2016. She is a certified birth doula with DONA International as well as a postpartum doula and lactation counselor. Dara is knowledgeable about pelvic space dynamics and optimal birthing positions. She strives to promote an environment where families are comfortable and confident enough to have the birthing experience they desire. Prior to becoming a doula, Dara was a mental health therapist with a passion for supporting individuals with a history of trauma and substance abuse. She is a graduate of Spelman College and earned a Masters in Clinical and Counseling Psychology from Chestnut Hill College. Dara values diversity and her family is from Trinidad & Tobago, which is where she spent her childhood summers. Dara makes sure that the support and resources provided to families are individualized to meet their specific wishes and needs.